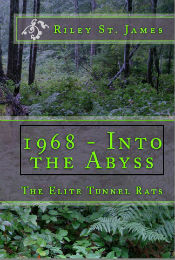 What if after decades there was one more untold incredible Viet Nam war saga supported with authentic personal color action photos and peppered with tightly-written notes from then young—not yet twenty—highly decorated leader of a small group of underground and Special Force combatants who searched and destroyed over 900 enemy tunnels? Follow a brash part-time college student who emerged from the warm California sunshine during the upheaval of the rebel-torn sixties and lived through a life-changing transformation after being sent to a raging war zone during the heaviest fighting in Viet Nam—swiftly from a boy to a man. Enjoying life, with no particular goals in mind, Thomas E. Wergen was aware of the war protests but paid little attention to the country’s split, and made no stand when he casually joined the army. Beginning his duty by graduating from chemical staff specialist school, he soon landed a cushy job teaching demolition and tunnel denial techniques to Vietnam-bound soldiers and officers in the air-conditioned building at the US Army Infantry School at Ft. Benning, Georgia. Army life was good—what war? But then he unexpectedly received deployment orders and soon found himself immersed in the war-ravaged country of Vietnam, not only in constant general combat, but in a kind of hell few fighters found themselves in, or could even aptly describe. Sgt. Wergen would end up participating in not only clandestine missions with the special forces but leading one of the elite tunnel rat squads that skulked the jungles during the heaviest fighting—the TET offensive of 1968—that would earn him multiple war honors.